Gentiqo is a new at-home DNA testing company that wants to outperform the big ones like 23andMe by offering the most complete genomic service on the market using low-coverage sequencing at an affordable price. The future of the company looks very promising as well as the services proposed on their website. One of our team member, Kevin, decided to jump in and try it. 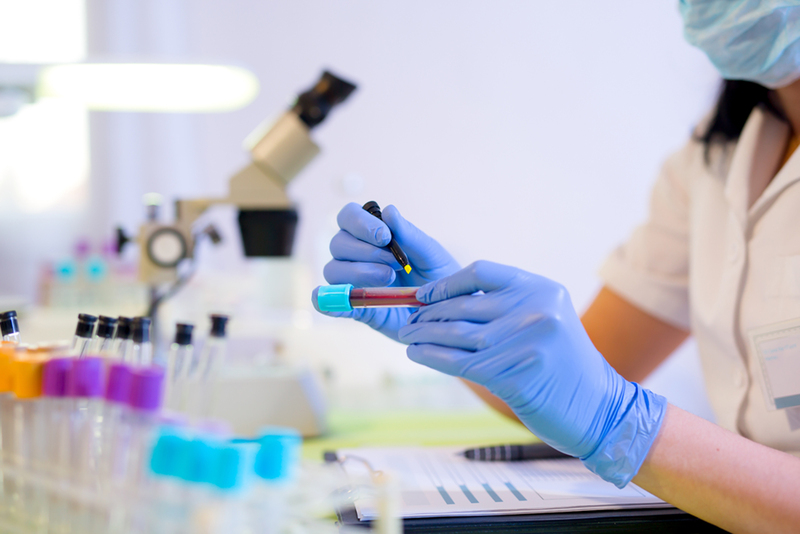 The DNA collection process is exactly the same as the other well-known companies. There is nothing different on this point. 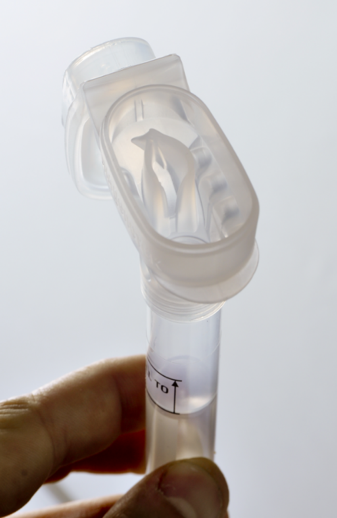 It is fast, easy and painless: receive your collection kit at your home ordered from Gentiqo’s website, spit in it (like in the picture below) and send it back to their lab in the prepaid return envelope. Conclusion of the collection process: It is fast, easy and painless. One cannot ask for anything simpler than that. 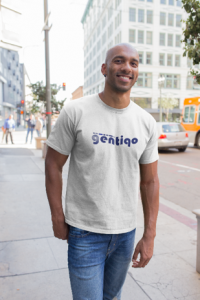 After waiting 7 weeks (a little bit longer than what was initially told), Kevin finally received the results on his Gentiqo’s account he’d set up when he’d registered his sample before sending back to the lab. His first impression was that the platform is user-friendly with lot of interactivity and very well-designed. It is divided into various sections: health, ancestry, skin, training, nutrition, medication, brain wellness and raw data files. The number of reports is extremely high. It contains approximately +250 reports. That’s why Kevin will review only the main ones: the health reports. The health section contains two subcategories : ‘Hereditary diseases’ and ‘Health risks’. The ‘hereditary diseases’ category shows the results for 48 conditions that can be inherited from each parents. It means that, if each of your parents passes you down one defective genetic variant, you will have a defective gene that will lead to the condition. If only one of your parents passes you down one defective genetic variant, you are then said to be a ‘carrier’. Being a carrier will not lead to the condition, but you can pass it down to your children. So, for those of you who did the “math”, if both parents are carriers, there is a probability of 25% their children will have the condition. That’s why these reports can be extremely beneficial when it comes to the health of your future family.Each illness connected to a report that clarified its characteristics, the common symptoms & signs, the genetic markers analyzed and their impacts, the treatments, Kevin’s personal results, and personalized recommendations in case if he has the disease. He had been alleviated to learn that he only carries one risk allele for Alpha-1-Antitrypsin Deficiency.Kevin was alerted by this result and made a note to take it up when he next saw his physician. He is not stressed by the possible decreased lung function because he does not smoke. On the other side, his concern is rather the risk of liver disease. He detected the advice on the report that recommended vaccinations against Hepatitis B & Hepatitis A which thankfully he’s already had. The health risk category is different from the hereditary one. Simply stated, this category shows the statistics of developing +120 diseases. If a result shows a high risk of developing a disease, you should always keep in mind that these are only statistics and it doesn’t mean that you have it or are definitely going to develop it. Don’t forget that lifestyle & environment also play a big role in the complex pathway of these diseases.Kevin was anxious when realizing that his Alzheimer’s disease result was emphasized as medium-to-high risk. He decided to click on it to have a better insight. A risk scale was displayed at the top of the report, with a marker targeting where his result put him on it. Under this, there was a brief clarification that plainly stated his higher risk of developing Alzheimer’s, but that if he followed the advices they would be able ‘yield consequences’.It was specified a more detailed risk assessment underneath, that have been broken on to genetic risk & disorder incidence. He was very happy to understand that the genetic facet only lead to a higher risk (increased by 0.73%) and overall merely had a 5,58% higher risk, which looked a good deal and lot less meaningful than it had initially. Conclusion of Kevin on Gentiqo’s results: Genetiqo has exceeded expectations. The level of information provided is worth every penny. Kevin has tested various other DNA testing companies and he was surprised to see that every single condition is so well studied and loads of useful information & recommendations are provided. Only his ancestry results didn’t surprise him because it is approximately the same kind of report he got from the other companies.